Not to be left out of the fun, HP has just unveiled its entry in the smartwatch fight - and it's a bit nice. HP has partnered with retailer Gilt and US designer Michael Bastian, creating a luxury design that may actually out-fashion current (but unreleased) smartwatch favourite, the Moto 360. 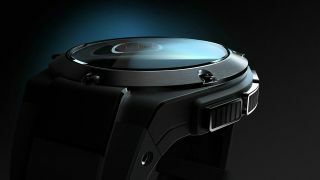 The watch was designed to purposefully give it a luxury-car-interior feel, and will come with interchangeable wrist bands. As for the smarts, HP will be giving its watch notifications for texts, emails, calls and suchlike, as well as controls for your music. With HP doing all the techy bits, the watch will seemingly come with its own operating system, instead of opting for Google's Android Wear. We're told that there'll be the standard procedure smartphone app, available on both iOS and Android. You'll be able to bag yourself one of these in the fall/autumn, but no word on how much it'll cost. We'd say the clue is in the "luxury" bit.